When you invest in machinery, you want to get the most from your investment. When you devise a marketing plan you carefully measure your return on investment. Yet most employers don't look at one of their most significant investments - human capital - with the same eye on the return on their investment. 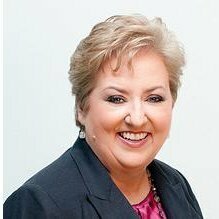 In her 20 minute interview, Linda Duffy, President and Founder, Ethos Human Capital Solutions discusses the important factors that lead to maximizing your Human Capital ROI. Help Linda out - Click the LinkedIn button to Share this interview with your contacts!